Vintage fiends, take note: if you aren't already heading to Palm Springs over Labor Day, you may want to start planning a trip. For on Sunday, September 6, vintage buyer Marc Joseph will be hosting a one-day, "Secret Back Room" sale, featuring pieces from the 1930s up to today. 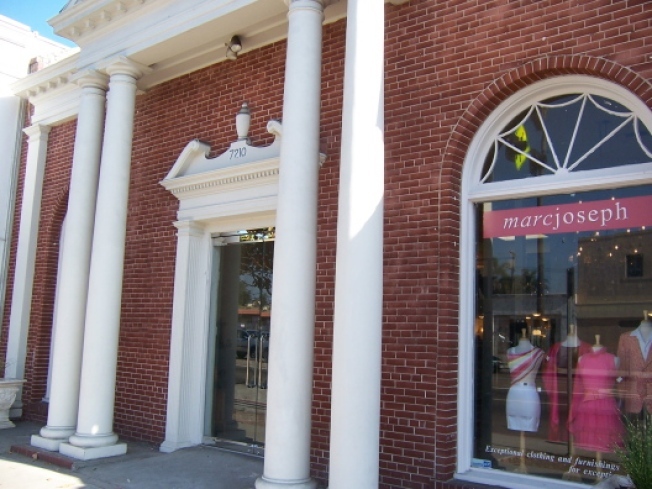 Those with good memories may remember Joseph's vintage showroom on Beverly Blvd, which held public sales on Saturdays and shuttered back in 2007. Since then, he's been selling online and by appointment while focusing on an event planning business, which makes this a pretty rare opportunity to shop his wares in person. According to LIVE Palm Springs, the "Secret Back Room" sale will include pieces like men's Armani suits for $120, Zegna sport coats for $40, and women's shoes by Ferregamo and Bally for $25—less than the gas money you'll spend driving up there.